Loopmasters has launched new bundle deals, offering discounts of up to 65% off on two sample pack collections. The Reel People Collection bundles all five volumes of the Broken Beat Nu Jazz and Soul series, Soul Vocals and Sounds for the Soul. 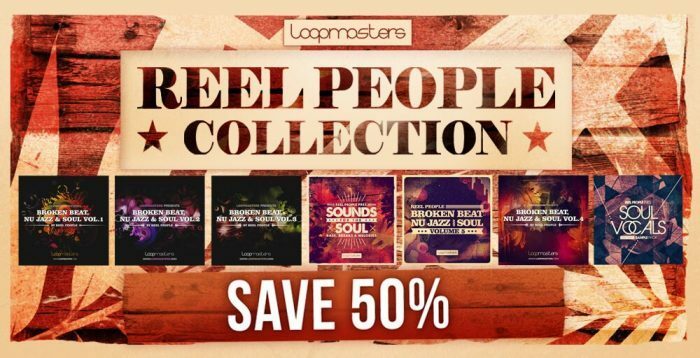 Another storming bundle from Loopmasters, we bring you the best of our Reel People collection at a fraction of the RRP when bought separately. The deal is simple; you can have all SEVEN incredible titles with 50% discount when you purchase them together in this exclusive bundle. 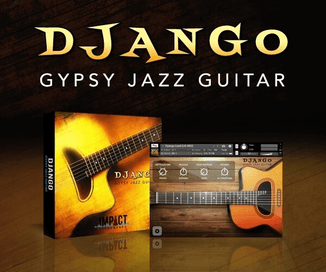 Explore the boundaries of House, Broken Beat and Lounge featuring authentic live instrumentation broken down into easy to use loops and individual hits. Lovingly assembled by Reel People leader and Papa Records founder Oli Lazarus, this collection features a world of soulful sounds, which have graced releases from artists such as DJ Spinna, Reel People, Blaze, Osunlade, Jon Cutler, Dennis Ferrer and Domu. The Reel People Collection is available for £99.95 GBP, which is half off the combined value of the packs included. Also released is the Vintage Soul Bundle, which comprises three Vibes series titles: Soul Trax, Soul Allnighter, and Vintage Soul. Loopmasters present the ultimate VIBES for your music! This one-off collection brings you the best of our esteemed VIBES series at a fraction of the RRP when bought seperately. You’ll get all THREE incredible titles with a 50% discount when you purchase them together in this exclusive bundle. With over 5GB of pure Soul vibes sounds, this bundle delivers an incomparible collection of 1970s authenticity; with a host of expertly recorded and perfromed Loops Hits and Sampler Patches – available for a limited time only! 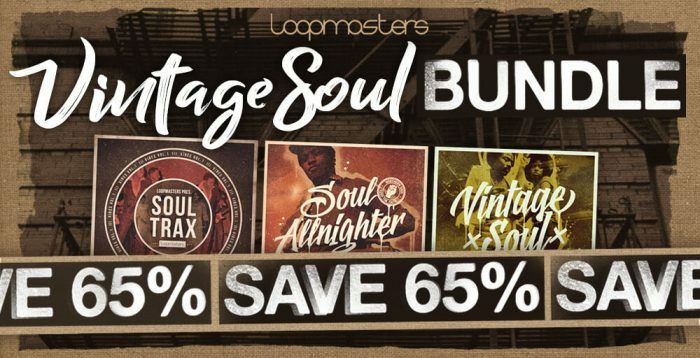 The Vintage Soul Bundle costs £36.95 GBP, offering a savings of 65% off over buying all three packs individually.